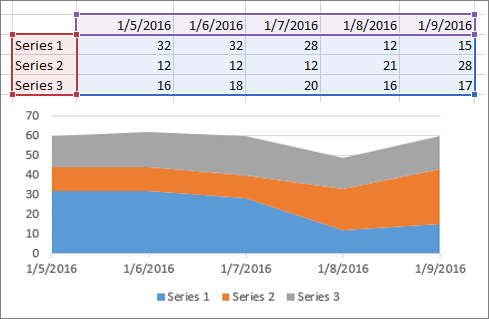 If your chart data is in a continuous range of cells, select any cell in that range. Your chart will include all the data in the range. 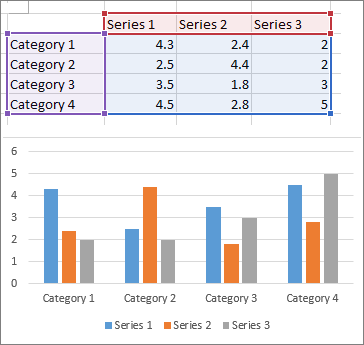 If your data isn't in a continuous range, select nonadjacent cells or ranges. Just make sure your selection forms a rectangle. 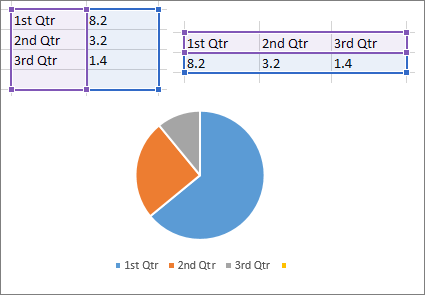 Tip: If you don't want to include specific rows or columns of data in a chart, you can simply hide them on the worksheet, or you can apply chart filters to show the data points you want after you create the chart. Excel can recommend charts for you. The charts it suggests depend on how you’ve arranged the data in your worksheet. You also may have your own charts in mind. Either way, this table lists the best ways to arrange your data for a given chart. In one column or row, and one column or row of labels. This chart can use one or more data series. In one or multiple columns or rows of data, and one column or row of labels. 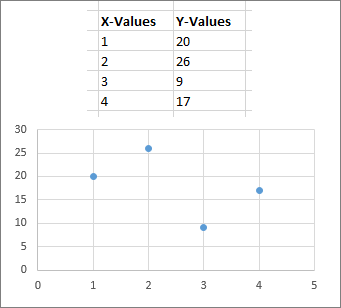 In columns, placing your x values in the first column and your y values in the next column. 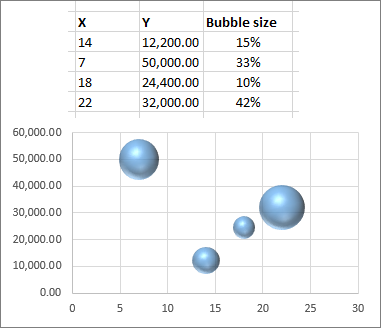 For bubble charts, add a third column to specify the size of the bubbles it shows, to represent the data points in the data series. 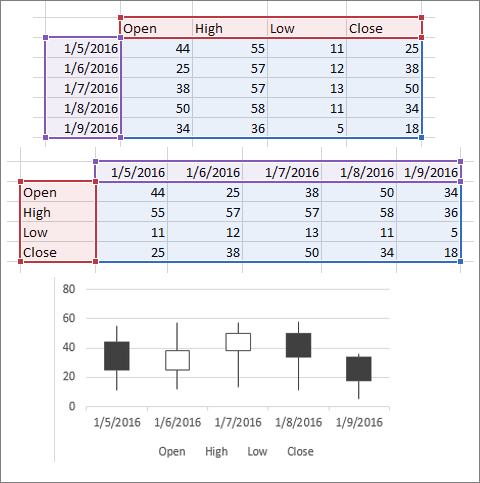 In columns or rows, using a combination of opening, high, low, and closing values, plus names or dates as labels in the right order. 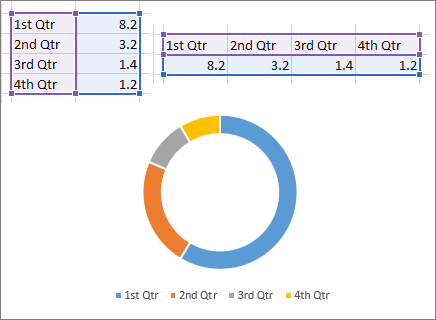 To create a chart in Excel Online, you need to select at least one cell in a range of data (a set of cells). Your chart will include all data in that range. This table lists the best ways to arrange your data for a given chart. For more information about any of these charts, see Available chart types.